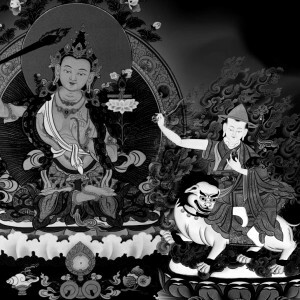 There are several variations and interpretations of the history and lineage of Dorje Shugden. 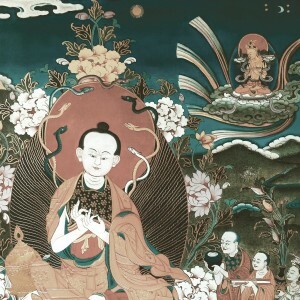 However, the source most referred to and heavily relied on by contemporary Gelugpas is the “Collected Works on Dorje Shugden” or “sungbum” written by His Holiness Kyabje Trijang Dorje Chang. 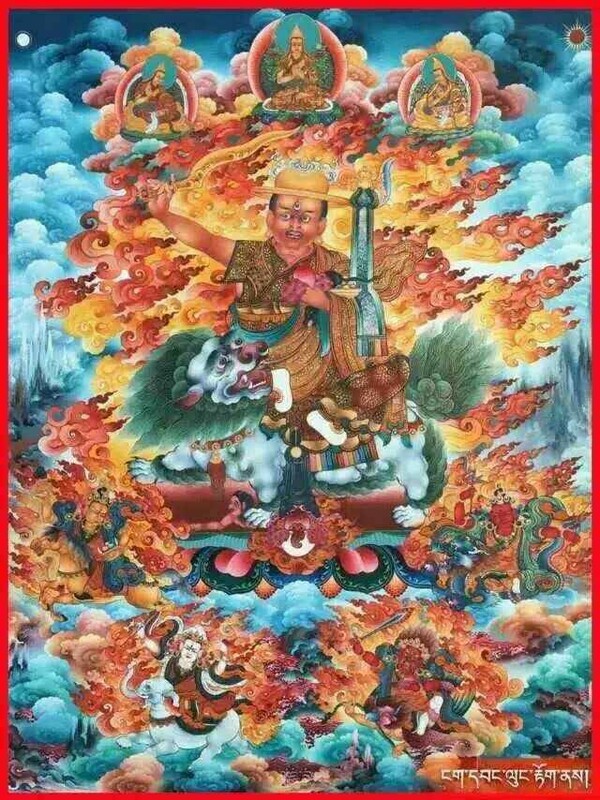 This is also considered the most accurate account of the manifestation of Dharma Protector Dorje Shugden during the time of His Holiness the 5th Dalai Lama. It clearly elucidates the remedial actions of the Great 5th Dalai Lama upon realising the true nature of Dorje Shugden. 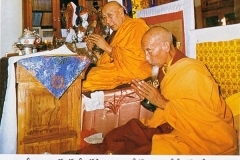 In Kyabje Trijang Rinpoche’s account, H.H. 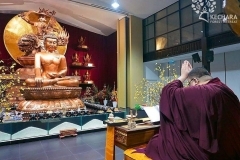 the 5th Dalai Lama apologised for the circumstances his ministers created, enthroned Dorje Shugden as a Dharma Protector and even composed a praise to Dorje Shugden. 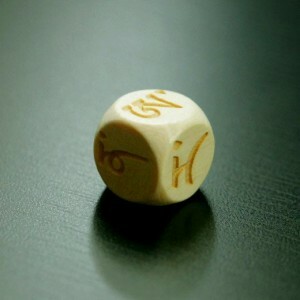 In addition, H.H. the 5th Dalai Lama erected a Dorje Shugden Chapel in Lhasa, Trode Khangsar, which is still actively in use today and is protected by the Chinese government as an important historical site to commemorate this great Dharma Protector. 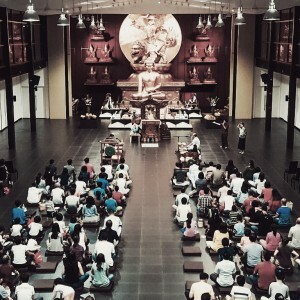 The Dorje Shugden cham dance by and large encompasses the essence of what His Holiness Kyabje Trijang Dorje Chang has written about Dorje Shugden, relating the events leading to his manifestation as a Dharma Protector. 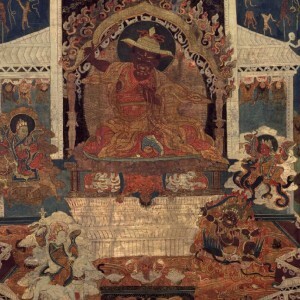 The dance’s portrayal subscribes to the premise that Tulku Drakpa Gyaltsen arose as Dorje Shugden during the time of H.H. the 5th Dalai Lama and ritually enacts the story through dance. 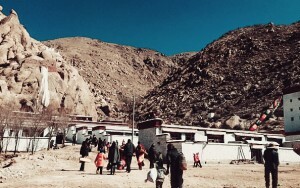 The story unfolds during the turbulent time of Tulku Drakpa Gyaltsen and H.H. 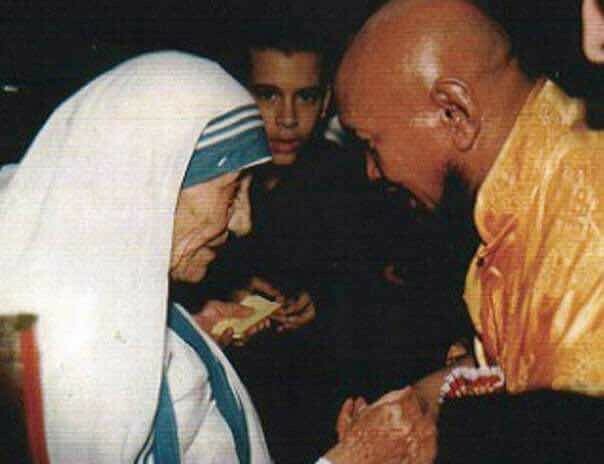 the 5th Dalai Lama. 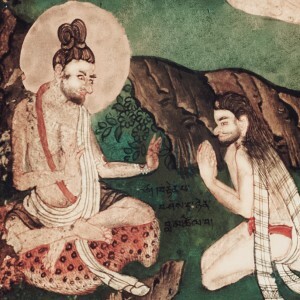 It was an era when the lines between politics and religion were blurred, with certain quarters compressing the two into a single institution of absolute power which gave rise to the phenomenon of the Dalai Lamas as the god-kings of Tibet. 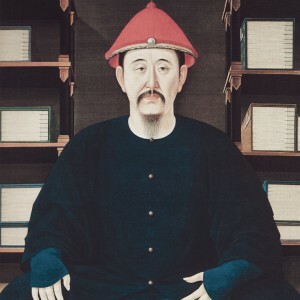 Although Tulku Drakpa Gyaltsen himself was not politically inclined, he was immensely popular with the Mongols who played significant roles in Tibetan political affairs at the time. Therefore he was perceived as a threat to the establishment whose status depended on H.H. the 5th Dalai Lama remaining in power, unchallenged. 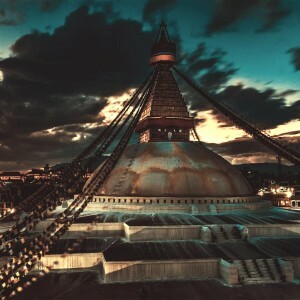 It was time for Tulku Drakpa Gyaltsen to fulfil the oath he made in his previous life as Duldzin Drakpa Gyaltsen, to become the Protector of Lama Tsongkhapa’s doctrine when the need arose. With the establishment of the Gaden Podrang and the ascendancy of H.H. 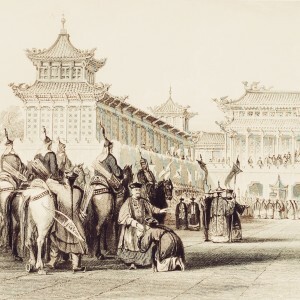 the 5th Dalai Lama as the absolute ruler, it became necessary for H.H. the 5th Dalai Lama to represent all prevailing Buddhist traditions fairly. Therefore, he was openly incorporating the beliefs and doctrines of other lineages into orthodoxy. Regardless of H.H. 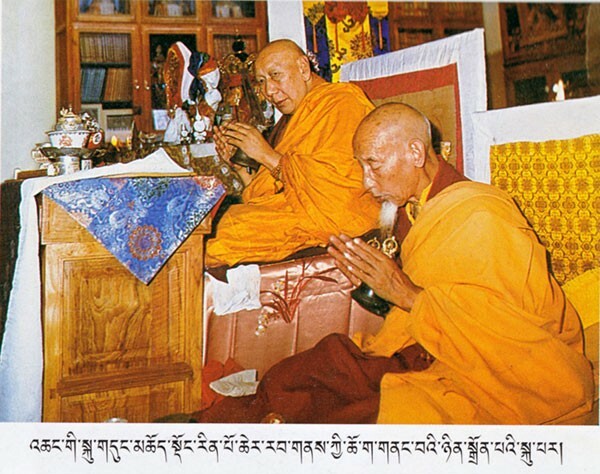 the 5th Dalai Lama’s real purpose, the purity of Lama Tsongkhapa’s teachings was in danger of dilution. As Buddhists believe that everything has its causes, such a violent death was a necessary condition to cause an otherwise enlightened mind to be born as a wrathful being, such as a Dharma Protector. 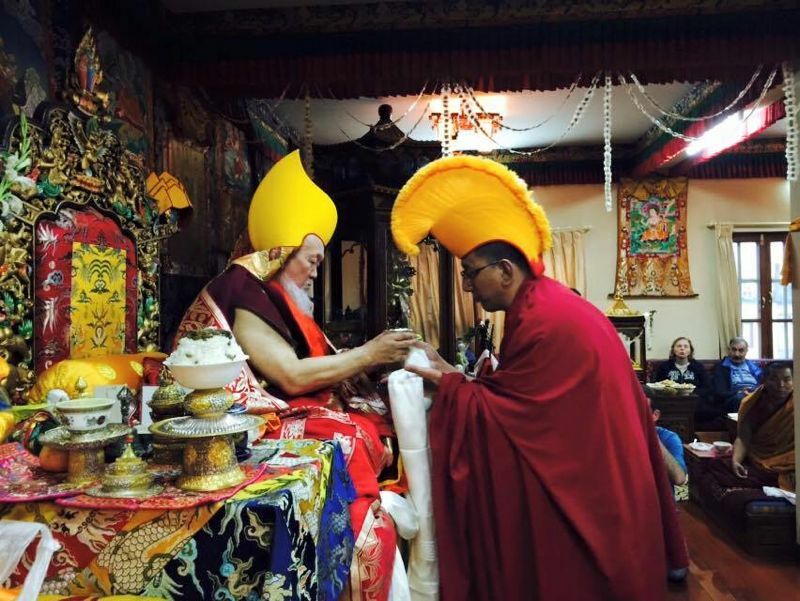 Therefore it was a condition that Tulku Drakpa Gyaltsen had to meet in order to arise as Dorje Shugden. After the death of Tulku Drakpa Gyaltsen, many inauspicious signs appeared. Whilst some treated the signs as omens of the bad karma that was created by the murder of an enlightened being, others, especially officials of H.H. the 5th Dalai Lama conveniently interpreted those signs as the malice of the perfidious spirit of the murdered tulku bent on revenge. However, after failed attempts to destroy the spirit by even the most powerful exorcism rituals, H.H. 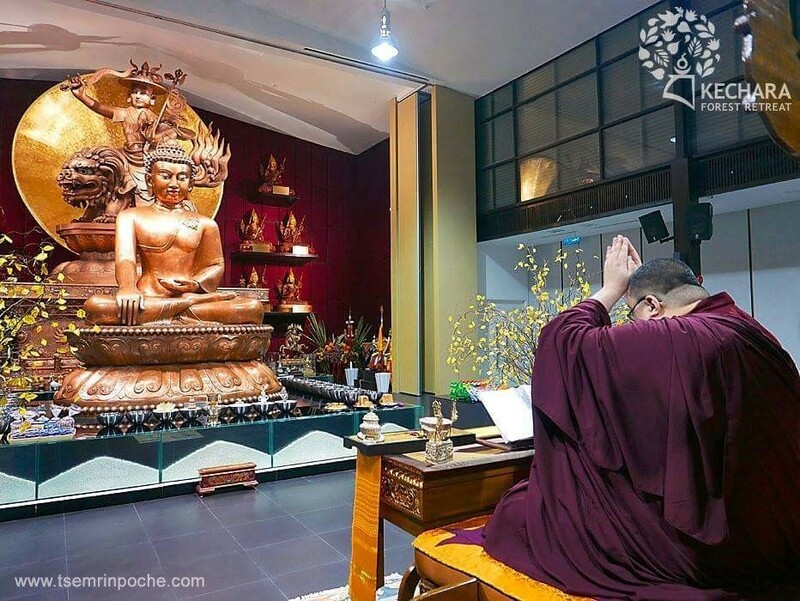 the 5th Dalai Lama acknowledged the mistake of his officials and composed several verses in praise of Dorje Shugden as an enlightened Dharma Protector who had arisen in fulfilment of a promise to protect the precious teachings of Lama Tsongkhapa. 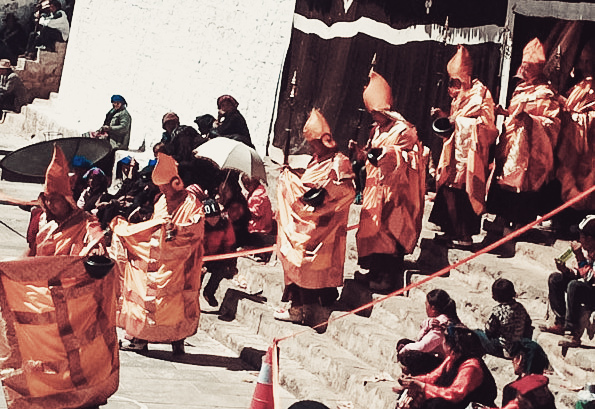 The Dorje Shugden cham dance also includes the depiction of Dorje Shugden and his entourage in their full regalia. This is why prior to the performance of such dances, the monks involved must perform many pujas and meditations in preparation, and remain very clean and focused, before they can don the sacred costumes. 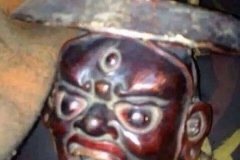 The Dorje Shugden cham dance is rare but not an obscure lineage; there are certain monasteries in Tibet who have practised this dance for hundreds of years. The dances also serve as visual education to the many adherents of Dorje Shugden in Tibet that may not be literate or are nomadic. It would be interesting to witness this Cham dance to view the story as it unfolds. Just as graphic comics are the artform of our times, so then the Cham dance is the form of conveying the essence during its inception. Though I have read the story many times, it still would be interesting to see it in dance form. The narration by the dance as interpreted by the monks would be assumed to be accurate as it has been performed for hundreds of years. I can understand it’s rarity as the monks have to take time out to perform many pujas and meditate in preparation, and remain very clean and focused, so that they can don the sacred costumes. 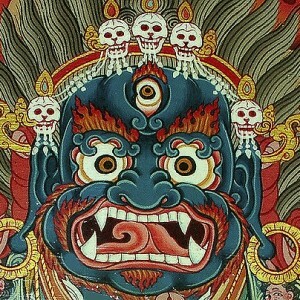 Afterall, it is a depiction of the arising of a Dharma Protector. Thanks for sharing this article. 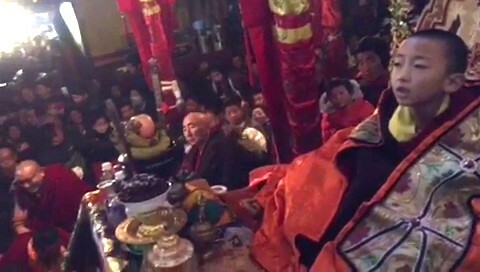 Didn’t know that Cham is a dance to tell the story of Dorje Shugden and how he manifest as a Dharma Protector. The dance is very sacred. 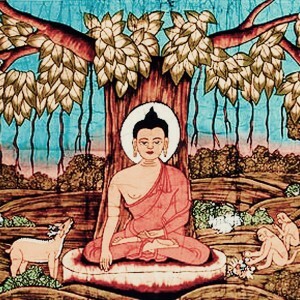 Therefore the monks who perform must do many pujas and medidations before hand. They must be cleaned and focused. Hopefully the ban will be lifted very soon and monks can practise Dorje Shugden freely and peacefully in Tibet. 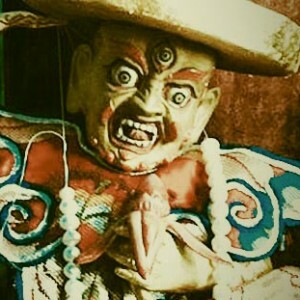 Thank you dorjeshugden.org for sharing the pictures and story of the Cham dance. 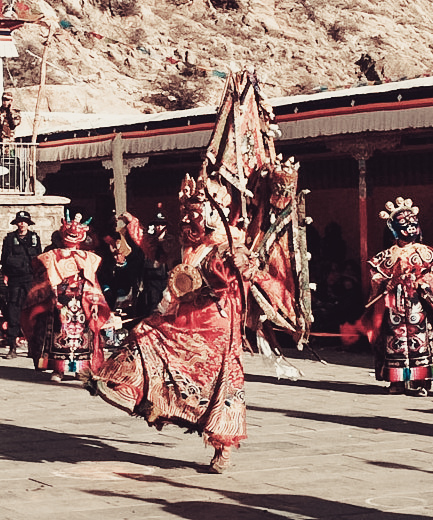 It would be wonderful to have the opportunity to witness a Cham dance in the future with the monks dressed up in the regalia and bringing back to the times of Lord Dorje Shugden arising. It would be a long preparation of performing many pujas and meditations, remaining very clean and focused, as the costumes they don are sacred and represent holy beings. 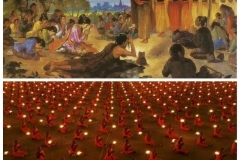 This special dance will certainly captivate the young and old leaving lasting imprints of the story on how the enlightened Protector was wrongfully accused but overcame the ignorance to become the unusual Protector of Je Tsongkapa’s teachings. This is such a beautiful offering to the 3 Jewels. This dance is not just beauty and effort as the performers make the effort transform the words of Trijang Rinpoche’s illustration of Dorje Shugden’s story in the sungbum, it is the manifestation of harmony by a group of people. 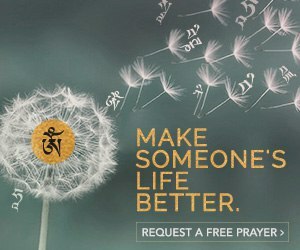 Harmony is very important for a Dharma community to work together and to cause for the Dharma to grow. I rejoice in the existence of this dance and hope to have the chance to witness this holy dance one day! Today dance is something more commonly associated with entertainment. Traditionally many forms of dance were used to tell stories. It makes sense that historically our ancestors use dances as a mean of visual education as literacy and universal spoken language are not as progressive compared to now. Personally I think it will be hard for most of us to understand this Cham dance unless one is very familiar with the story of Dorje Shugden and also the Tibetan culture. Even if one cannot understand, the dance is an offering and there are many benefits and a blessing to witness. I know about Cham Dance is a kind of ritual dance and didn’t know that it’s a performance replaying how Dorje Shugden came about. It’s great that the history is preserved this way and may the tradition does on. 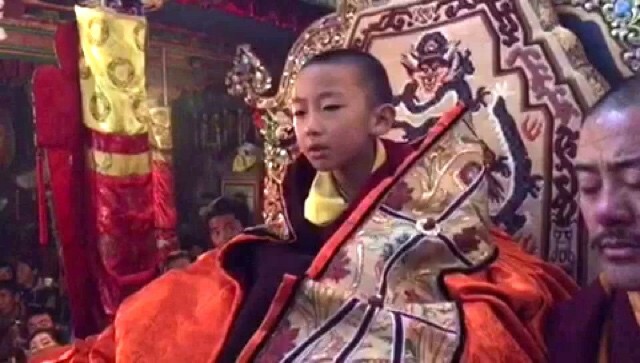 In the future, may many more people understand the significance moment where Tulku Dragpa Gyaltsen became Dorje Shugden. 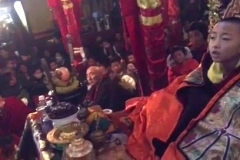 I am very sure that it is a great blessing to be able to watch Shugden cham dance in person. This is actually the first time I got to know about this dance. 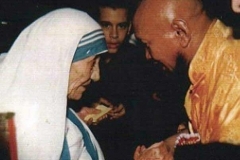 ‘The monks involved must perform many pujas and meditations in preparation, and remain very clean and focused, before they can don the sacred costumes.’ So much respect given to this dance, not only as an offering but also to educate. And how fortunate that this practice have been around for hundreds of years. I really do hope that it will continue for many more hundreds of years for the future generations to witness and receive blessings. It would be a memorable experience to see live the Dorje Shugden cham dance here in Malaysia. H.E. 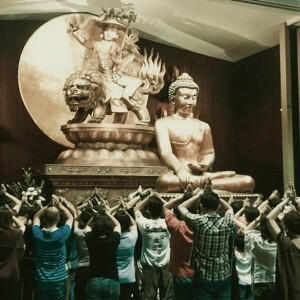 Tsem Rinpoche wishes to have this religious and spiritual Tibetan traditional offering to Dorje Shugden in the form of the cham dance to be performed in Kechara Forest Retreat. 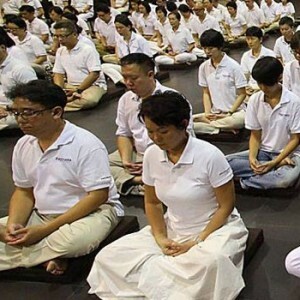 I await in great anticipation, and I am sure other people in Kechara are too. It is said that the Cham dance originated from Guru Rinpoche as a ritual dance to subdue the demons who were causing troubles in Tibet land. Today the Cham dance is considered a type of meditation as well as an offering to Buddhas. The dance often offer moral instruction relating to compassion for sentient beings and are held to bring merit to all who perceive them. It will be a blessing to be able to witness when it is perform in Kechara Forest Retreat. First time heard about the Dorje Shugden cham dance. Will be very fortunate if I have a chance to be able to witness or participate in this sacred event, the Cham dance is very powerful and performed for lay people who are illiterate and can learn through the media of dance which depicts the truth and history of Dorje Shudgen lineage. It’s interesting to see the life story of Dorje Shugden in a dance form. It’s not just a dance for performance but it’s an offering to the protector and by performing this dance it will bless the area and the people who are performing the dance. We are very fortunate that this spiritual dance still exist and we should preserve it and hopefully one day we will have this dance in Kechara Forest Retreat. I would love to see a Cham dance! These are beautiful and rare pictures and the dancers must be well trained by meditations and pujas, being clean and focussed. I rejoice for the Nyemo Gyelche Monastery where the Cham dance is performed every year. With knowledge, we can understand the dance but anyone who sees the dance done by the performers will receive blessings. Wow ! Dorje Shugden cham dance has been practiced hundreds of years.,and with the motivation to serve as visual education to the many adherents of Dorje Shugden in Tibet that may not be literate or are nomadic. This is a great idea. 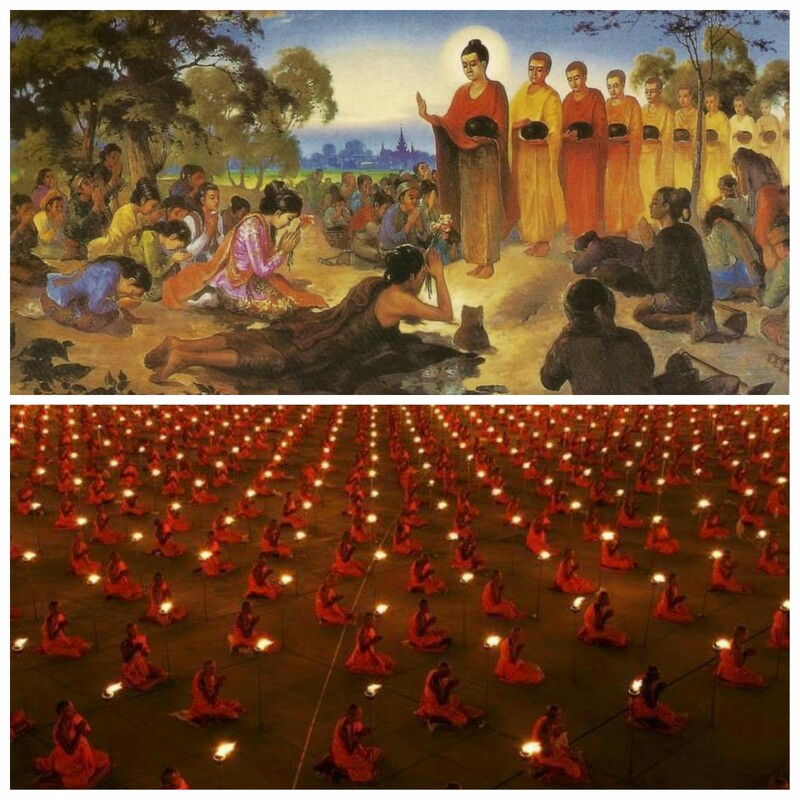 Also, they respect the dance very much where the monks involved perform many pujas and meditations in preparation, and remain very clean and focused, before they can don the sacred costumes. Therefore i believe that by just watching this dance , we can receive a great blessing from Dorje Shugden. Hope to have the chance to witness this holy dance one day! 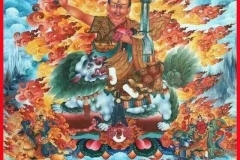 I’ve been always think of it would be really good if there is a video or movie that could tells the story of The great Dharma Protector, Dorje Shugden. For me, it’s easier to understand and remember by visual aids sound aids. This Cham Dance might fit what I’ve looking for. May I have the merits to witness the Cham Dance and understand more about the story of the great Dharma Protector. It would be great to see this sacrad dance that have be preserved for 400 years. 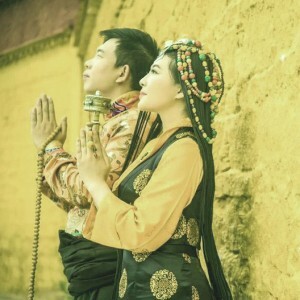 The dance is important because the portrayal subscribes to the premise that Tulku Drakpa Gyaltsen arose as Dorje Shugden during the time of H.H. the 5th Dalai Lama and ritually enacts the story through dance. I think more should learn up this dance and performs especially those DS monasteries and make sure it is well preserved. Dorje Shugden cham dance usually will played during Tibetan new year time together with the lama dance in monastery at Tibet to clearing obstacle from the whole years and bring good luck and suscess. 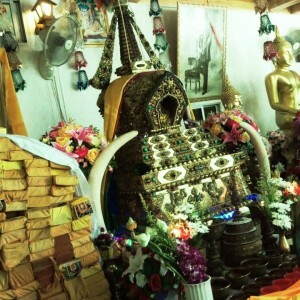 is interesting to see how the cham dance perform according the ritual. The dance as interpreted by the monks would be assumed to be accurate as it has been performed for hundreds of years. Before the cham dance perform, Monks have to take time out to perform many pujas and meditate in preparation, and remain very clean and focused, so that they can don the sacred costumes. Such preparation to respect protector by dancing the cham dance is representing and tell protector how he arise in the real story. I hope in future can witness this dance at Kechara Forest Retreat. This is such a good idea to spread the story of Dorje Shugden, what is done, cannot be undone, but when the things are done out of compassion for the benefit of others, Tulku Drakpa Gyeltsen is very compassionate because to benefit the sentient beings, he is willing to go through all these and end up being killed, this story really have to spread to more and more people as we can learn from his life story and inherit his compassionate quality. Dorje Shugden is an enlightened beings i.e. 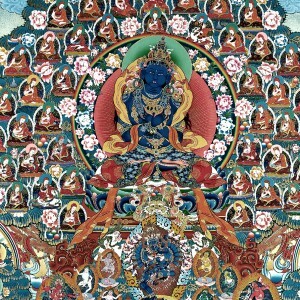 emanation of Manjushri and therefore, he is definitely cannot be destroyed. 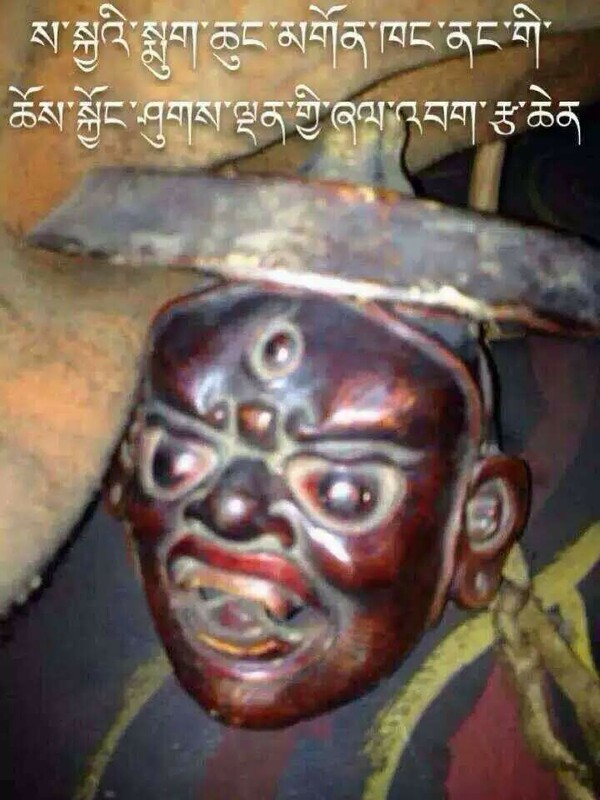 Dorje Shugden cham dance is rare and have been practiced since hundred years ago. 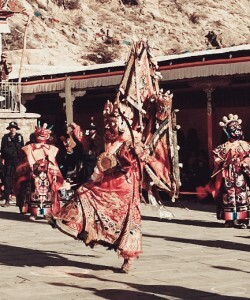 This dance includes the depiction of Dorje Shugden and his entourage in their full regalia. As such, it is a great blessing to all those able to witness the Dorje Shugden cham dance at Nyemo Gyelche Monastery in Tibet. 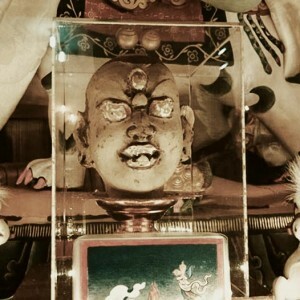 It is wonderful to read about the background of the Dorje Shugden cham dance, which is rare while not entirely obscure. 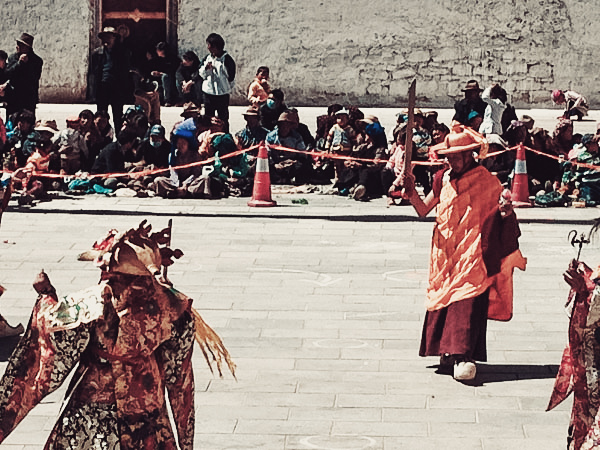 There are monasteries in Tibet who have practiced this dance for hundreds of years and still practicing it, for example, the Nyemo Gyelche Monastery in Tibet. 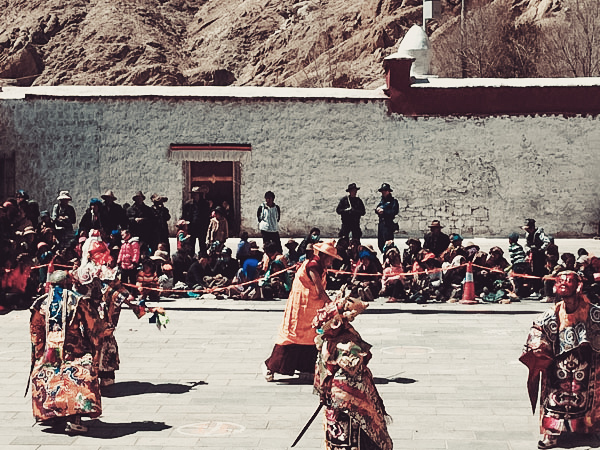 It is important to preserve the dance as it also serves as the visual education to the many adherents who may not be literate or are nomadic in the region of Tibet. The Dorje Shugden cham dance portrays the premise that Tulku Drakpa Gyaltsen arose as Dorje Shugden during the time of the 5th Dalai Lama, where the background of this enlightened Dharma Protector was wronged and instated became ritually enacted in the dance. It is known that important traditional Operas, Dances and Plays depicts legendary events in the History of many cultures, both eastern and western. This is so when Operas, Dances and Plays are staged during cultural events in Chinese and Asian countries to both entertain and educate the audiences. 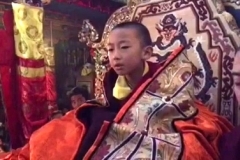 Such is the Cham Dance performed at Monasteries to honour Dorje Shugden and depicts the history of his arising from and erudite Master to a Supreme Protector. It is my wish that one day I will have the opportune to witness a “live” performance of the Cham Dance. 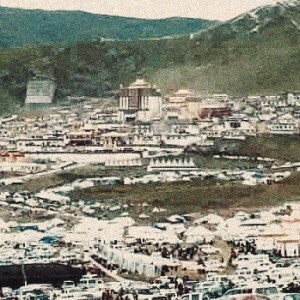 For now it is only possible to visit DorjeShugden.org to view this legendary Dance. Please enjoy.